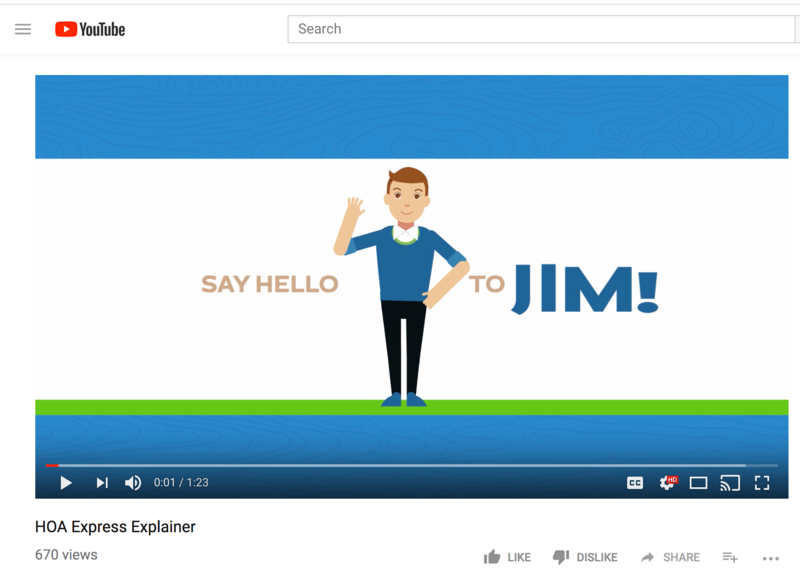 Explanation of the different ways to add videos to pages on your website. 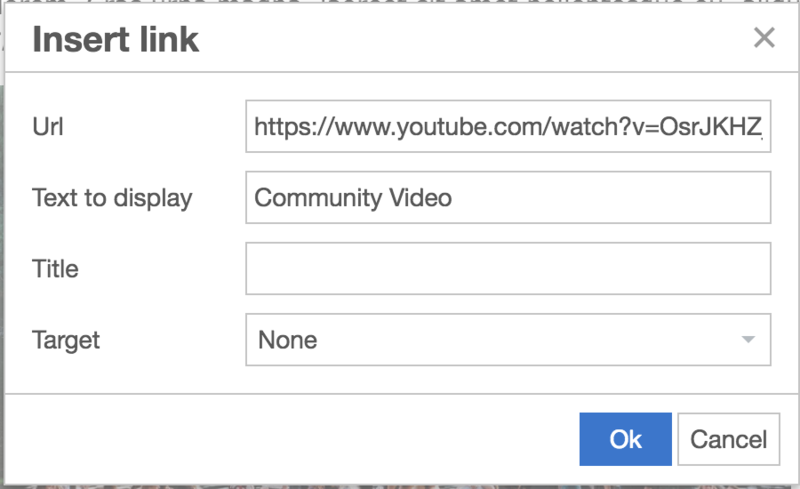 Add a link that will redirect your visitors to a separate website where the video can be played. Embed a video player from another website within the page text to play directly from your website. Below are step-by-step instructions on how to do both. First, copy the URL of the website where the video can be played, then visit the page on your community website where you would like to add the copied URL to. Next, click the blue "Edit text" button in the light blue admin box, and in the text editor click the link icon (looks like a chainlink). 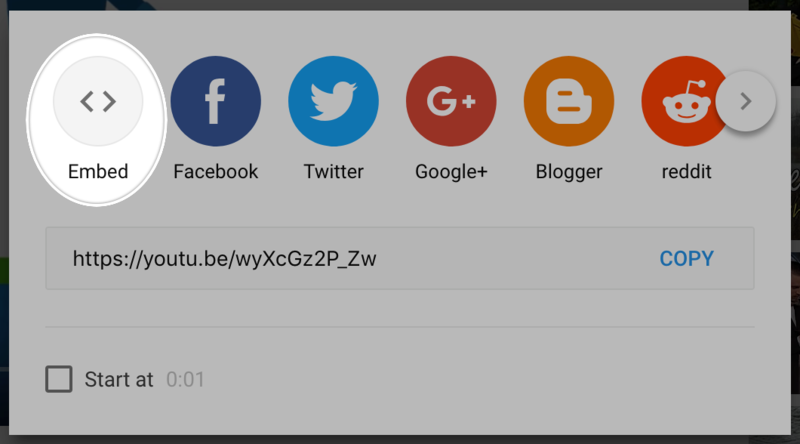 This will bring up a pop-up where you can paste the URL to the video in the "Url" field. In the "Text to display" field, enter the text you would like to display to tell visitors what the video is for. Once you've finished, click "Ok" and finish entering the rest of the text (if applicable) in the text box and then click "Save." Now, visitors will be able to click on the link and be redirected to your video. To embed a video, first, go to the source/website of the video you would like to embed. Please be sure you are on the page where the video is playing. Next, click on the "Share" button below the video. There are several options you can choose from in the next menu for how you would like to embed the video. Once you've finished selecting these settings, click "Copy." 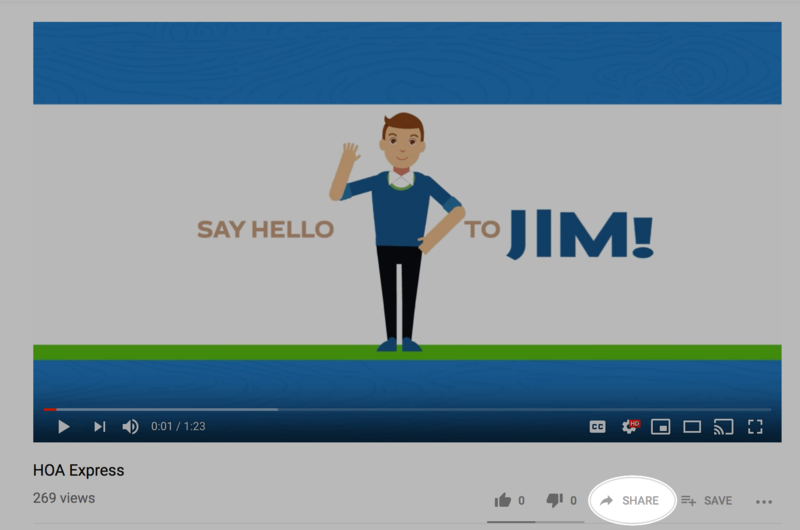 Visit the page on your community website where you would like to add the video and click on the blue "Edit text" button. Next, click on "Insert" from the menu at the top and then from the drop-down menu select "Media." Under the "Embed" tab, paste the embed code you copied, then, click "Ok."
Finish formatting the video in the text box, then click "Save." The video will now be accessible from the page you've added it to on your website. Note: The embed code given isn’t “responsive,” meaning it has a fixed width. This means that unlike the other content posted to your website, an embedded video will not resize to fit the screen when viewing from a mobile device.